Nike’s Air Max 270 was a brilliant switch by the sportswear giant. The new lifestyle silhouette is slowly taking over the sneaker scene with help from stunning colorways like this “Black Volt” edition, arriving in stores soon. Nike’s latest innovation for the famous Air Max line is becoming immensely popular. With a massive selection of colors available, it seems that both sneakerheads and casual enthusiasts are taking to the new design quite well. 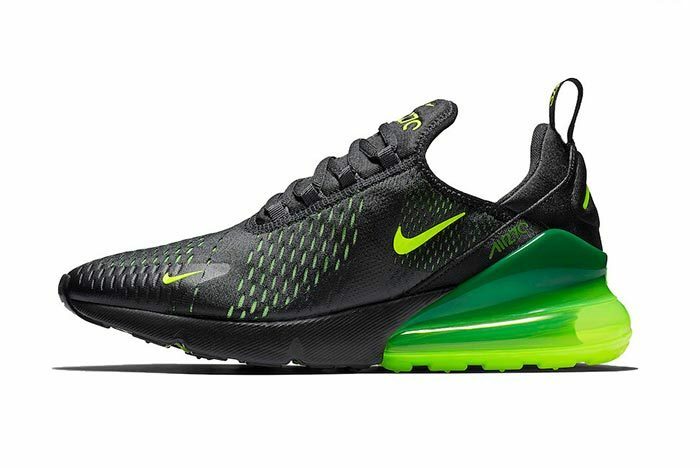 Now, with so many pairs widely available, Nike is adding more color options to make the Air Max 270 even more appealing to their huge customer base. This week, we have an early look at a stealthy new 270 colorway scheduled to drop in stores sometime next month. Dressing the slim mesh upper in black, the Nike branding, Air unit, and underlying layers round out the look in the neon Volt color. 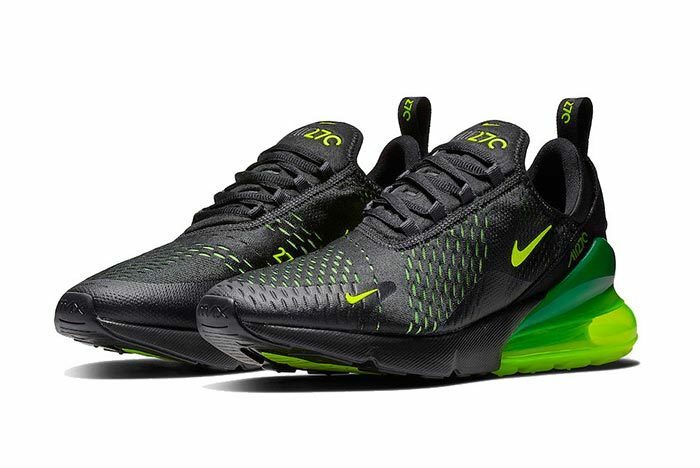 The Nike Air Max 270 is expected to drop sometime in the coming weeks, though a specific release date has not yet been announced. The bold black pair will retail for the standard $150 retail price and drop from both Nike and select retailers. 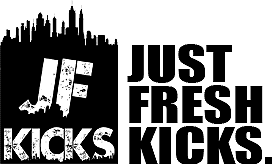 Check out the official images below for a better look, and stay tuned to JustFreshKicks for more Nike Air max release news.